This weekend's biggest match is the clash between Liverpool and Manchester City in the English Premier League, which is taking place on Sunday, April 13th, 2014. The winner of this game could very likely go on to win the title. Liverpool are the biggest surprise in English football this season. With five games to go, they are first in the EPL tables and if they win their remaining games, they will lift the domestic league trophy the first time since the 1989/90 season. Luis Suarez & Co. are in excellent form and have won their last nine games. After beating Tottenham 4-0, most recently the Reds had a dog fight with West Ham, which they managed to win with the score of 2-1. Liverpool's remaining games are against Norwich, Chelsea, Crystal Pallace and Newcastle. Manchester City have been picking up momentum lately and are the favourites to win the league. They are four points behind Liverpool at the moment, but they have two games in hand. After splitting points with Arsenal at the Emirates two weeks ago, Manuel Pellegrini's team disposed of Southampton with the score of 4-1. Edin Dzeko has been doing his part and scoring goals in the absence of the team's first choice striker, Sergio Aguero, who seems to be fit to return to action on Sunday. 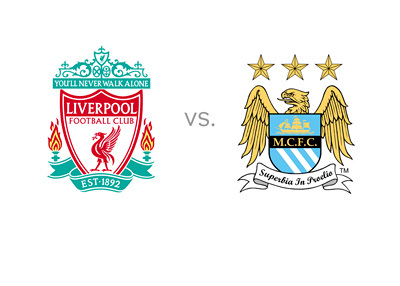 Liverpool are the slight favourites to win in this must-see game. The kick-off is at 13:37 local time.